Homespun Stitchworks..... For the love of vintage: Christmas recipe! I thought I would share a recipe for Cranberry sauce with you. You can make it now and put it in a air tight jar and it will be perfect for all of Christmas and will be good for a good six weeks after that! If it lasts that long. five orange segments chopped. Pith removed. 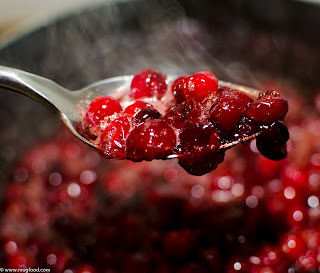 Put all ingredients into pan and cook on a medium heat until all the berries have popped and the mixture has thickened. Let it cool slightly and decant into air tight and sterilised jars. Believe me it's good and a tick off your Christmas list that is sat happily in the fridge.